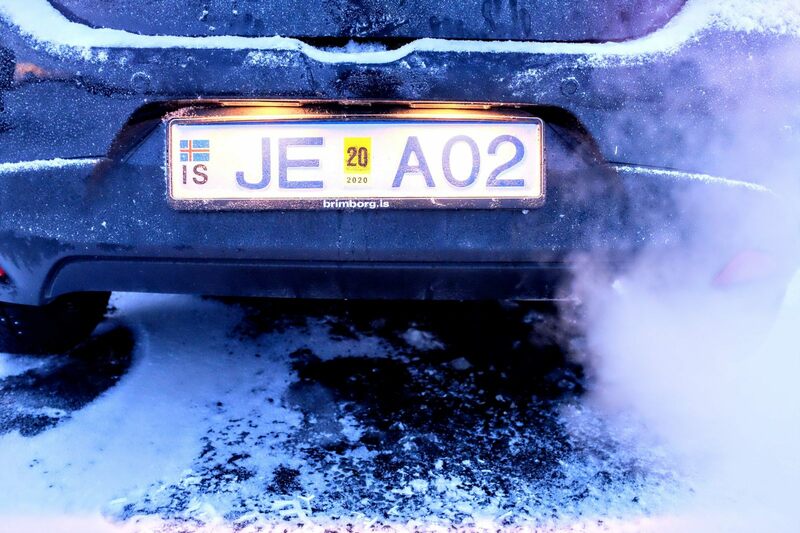 Whether you are renting an economy car or a 4x4 you must be safe while driving in Iceland during winter. Tourists like locals may face snow storm at any time during their journey. When you book a car, the renting company will give you all the details and advice on the road. Download the App 112 Where ARE U to share you geo location in case of emergency. 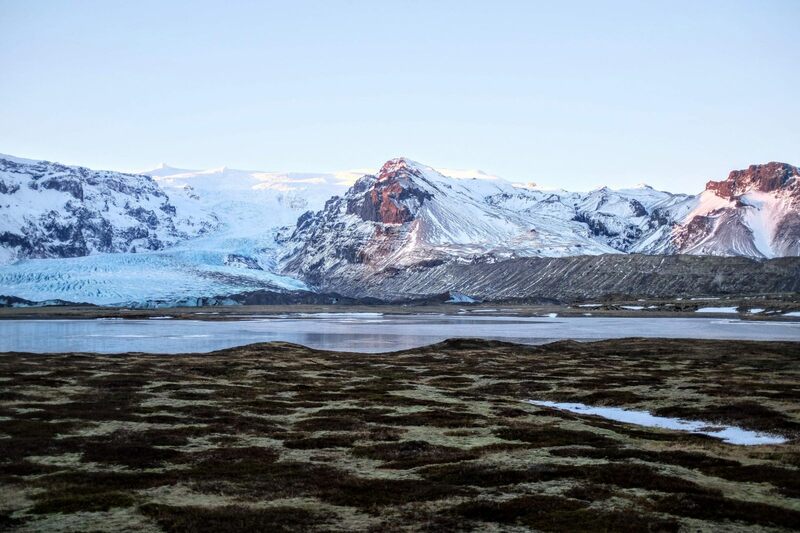 We advise you take the premium insurance as well as accidents do cost a lot in Iceland to re-pay. To find out about live updates on weather and road conditions, check road.is . Please note some roads are closed in winter therefore some touristic spots are not accessible at all. Pavel roads are limited to 90km/h and gravel road to 80km/h but you would not want to drive any faster, first because it is dangerous when the road is icy, second because the scenery is so beautiful you would want to enjoy every minute of it! if you're going through a snow or sand storm, don't panic, keep driving, DO NOT STOP, it will pass in the nest 2 or 5 minutes I promise! Be careful with weather conditions, do look at them more than once and for the city or area you're going because Iceland is well-known for its ever changing weather. Icelanders say that if you don't like the weather here, wait 5 minutes. And it is true, if you're going through a snow or sand storm, don't panic, keep driving, DO NOT STOP, it will pass in the nest 2 or 5 minutes I promise! Watch the video if you wonder what the roads look like in winter. Accommodation in Iceland can be very expensive. 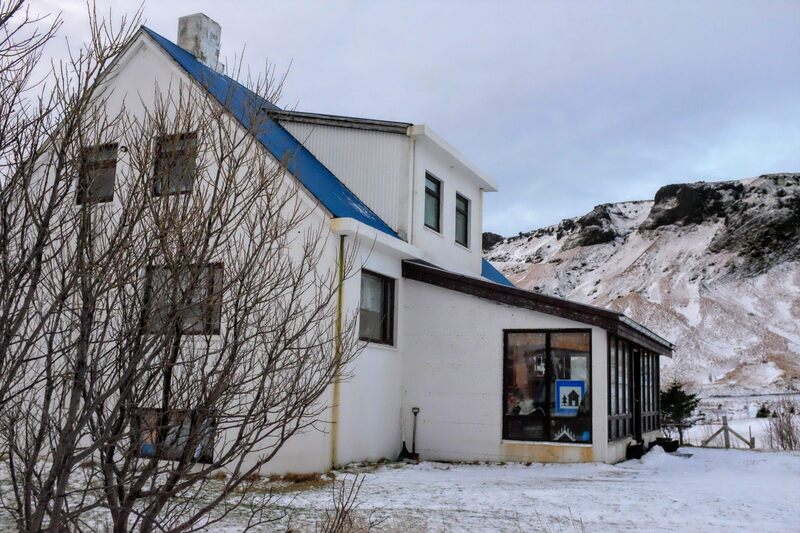 The cheapest and best way to enjoy Iceland like a local is to stay at Hostelling International around the country. We advise you buy the membership online ($8 instead of $30 on site) and just show the activation code at reception so that you can benefit the membership prices. You do not have to purchase that membership if you do not want to. You can still stay at the hostel but would need to pay an extra fee ($7 per night for a dorm in Iceland). So if you're staying more than one night, it will definitely be worth it to pay online that membership, plus it is valid around the world for one year! It sells out very quickly so if you want to see it during the 4 hours of daylight you must book quickly. 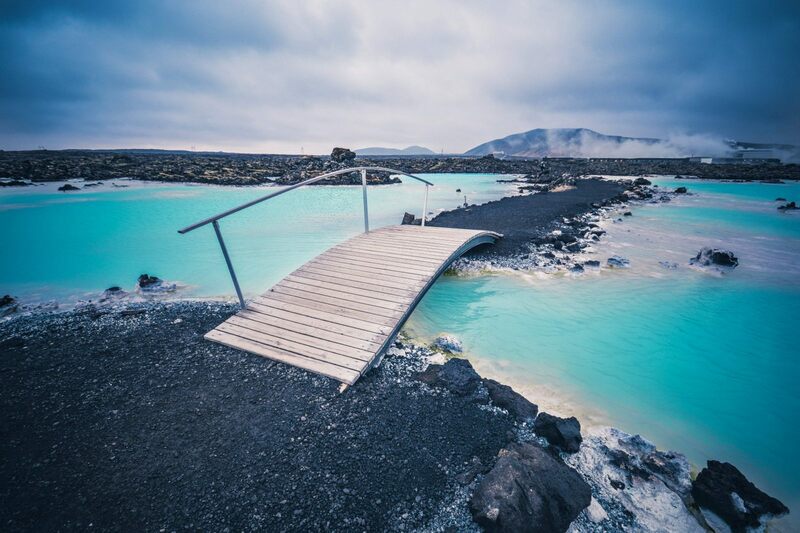 The contrast of cold and hot in the Blue Lagoon is perfect to end your trip. If you do not want the spa to be too crowded we recommend going at 8pm, the night scenery is spectaculartoo, very relaxing before going to bed and less crowded since it's the last slot of the day. They also let you stay 30 minutes longer after the closing time. Note: they provide free silica mud mask, shower gel and conditioner in the facilities. Chances to see Northern Lights in winter are higher. You may or may not see them, especially if you're staying in cities (too much light). The aurora forecast changes every day and every hour, such as the weather! You may start the day with a cloudy sky thinking it's not for today and suddenly see a clear sky with stars and no clouds at night. So don't give up and be patient! Some passionate do stand hours and hours at night waiting for them to show up. I can assure you that this is proper dedication when it is winter, night and -11C! Here are some advice on where and how to see them. Do not book it with tour as chances are so random, you may end up paying for a ticket and never see them. They are really quick to catch so the whole process of getting in a bus just does not work. And the excitement of finding them on your own is much higher! 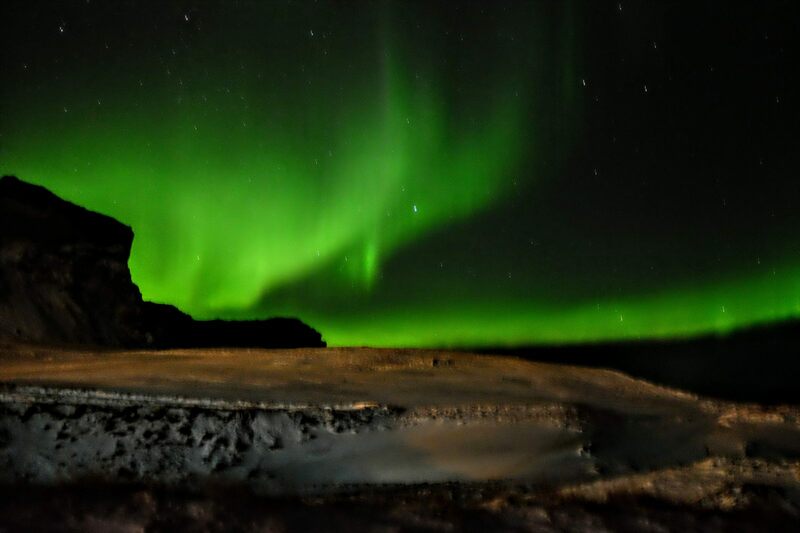 Log onto verdur.is to check the aurora forecast. If the chances are 5/9 you will see them, below that, it's trickier. As soon as you see a glow (grey sort of big cloud) over the sky you can be sure that this is just the beginning. Hurry up, get your camera, walk up the mountains to get closer (depending where you are!) and stand still. Watch the show, the glow will start moving and get bigger, the aurora borealis is coming. It does go quite fast, might come back or not. Depending on the level out of 9, you may see it light green / grey to a very bright green (or even red for the luckiest). To take the best photographs, make sure you change your shutter speed to the slowest, i.e 20sec or 1s depending on your settings. Then what you do next is set your camera on a tripod otherwise your image will be blurry and not sharp. The Auto-focus must be done on the tinies star you see. Last but not least, set your camera on a timer 2sec, press the button and enjoy the show! 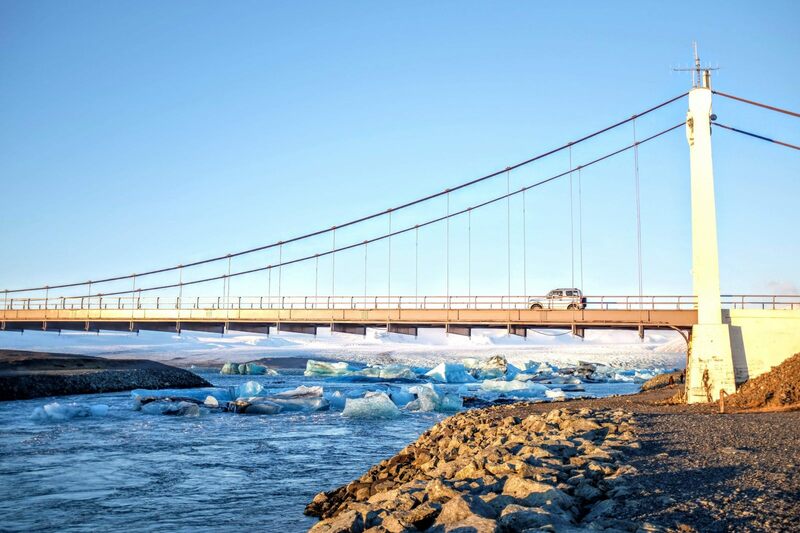 If you're aiming to road trip around Iceland, we advise you stock as much food as you can buying it in Reykjavik or surroundings. There is not much if none, grocery stores out of the capital. The only food you will find in some places is in the mini market (gas station) and prices are double what you can get in the discounted supermarkets such as Krónan or Bónus . You may have a guide that tells you exactly where to go, as well as a timing that rushes you to see things. The best way to road trip around Iceland is to highlight the main things you want to see BUT also stop anywhere you find it pretty. There are plenty of signs on the road with Tourist Attractions Icon. This may neither be on your guide, nor on your Instagram location but it can be the most beautiful thing you've seen in ages. Even sometimes you'll surprise yourself saying "but where are we?" and the answer is, somewhere in between Reykjavik and Hofn, in South Iceland. But do you really need to know where you are? Iceland is one of these countries where you get lost in time and location, the scenery is like in the movies, except it's real! 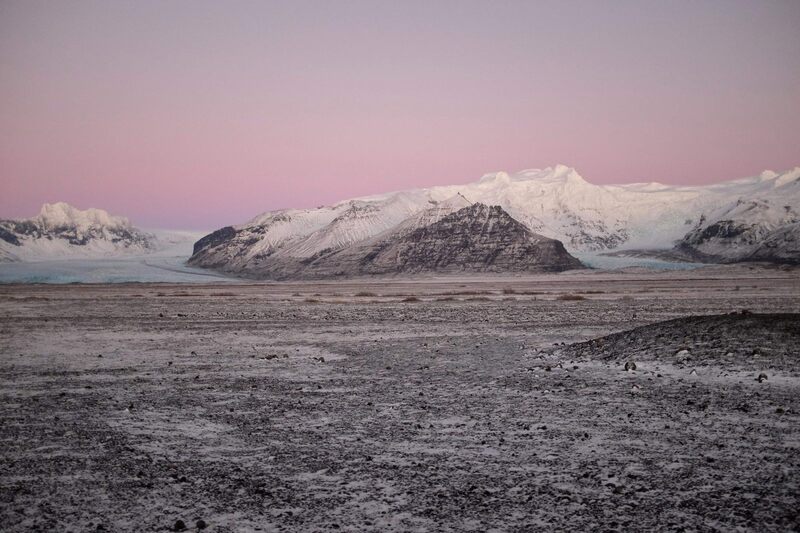 Iceland is one of those countries where you get lost in time and location, the scenery looks like in the movies, except it's real! Somewhere in South Iceland between Vík and Höfn! Read more about Iceland here .